Please vote for us! ProJo Readers' Choice Awards. Please vote for us! ProJo Readers’ Choice Awards. 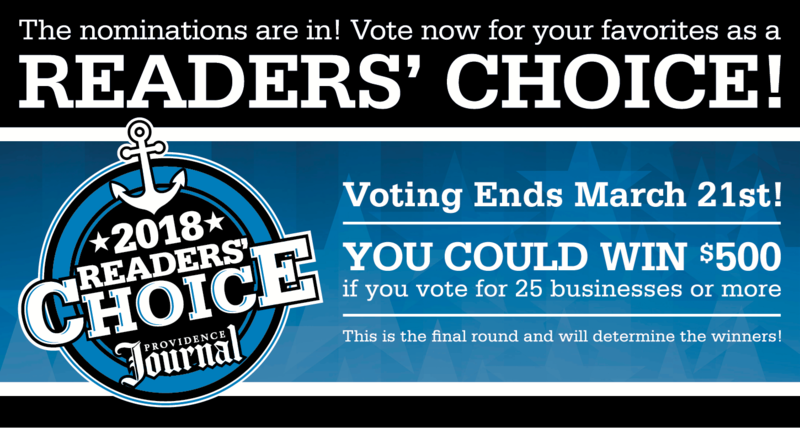 The Readers’ Choice Awards celebrate the best businesses, organizations, and more that you think deserve to be named the best! Vote up to once a day February 25th through March 21st. Vote for 25 businesses or more and you could win a $500 gift card. The voting round in the 2018 Providence Journal Readers’ Choice Awards has begun. This round will determine the winners! The awards celebrate the Rhode Island businesses and organizations that you think deserve to be named the best! Voting ends March 21st and you may vote up to once a day. After clicking on the category and subcategory that you would like to vote in, the top nominees in that subcategory will appear. Click on the “VOTE” button next to the business you would like to vote for. Type in your email address. 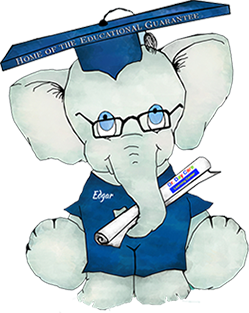 If you’ve participated in the Readers’ Choice Nomination Round, the system will log you in if it recognizes your device or send you an email with a login link to allow you to easily access the system without remembering your password. If you have not participated in any Providence Journal contest before, you must register. 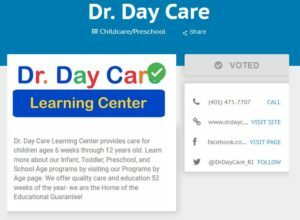 Once you’ve successfully logged in, you can navigate through categories and subcategories by by clicking the blue outlined category button that appears after you cast a vote in the current category or via the navigation menu. If you do not have a business to nominate in a subcategory, it may be skipped by selecting another category.